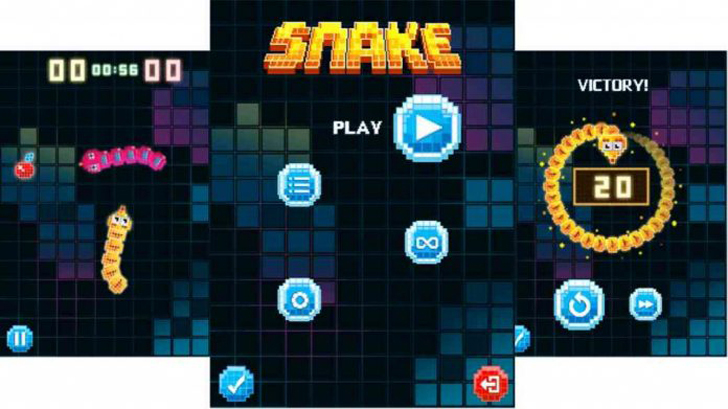 Nokia Snake Game now available to all Facebook Messenger users. At the worlds most popular and historical phone showcase event, the “Mobile World Congress 2017” a three day event happening in Barcelona, saw Nokia brand partner HMD Global re-launch one of its long aged feature phone; the Nokia 3310 at the MWC 2017, and also announcing the availability of the popular 90’s game dubbed the ‘Snake Game’ for Facebook Messenger users. Notably, the game is also available on App store and Play store in case you don’t have the Messenger app installed on your phone (There are multiple choices of the game, its up to you to choose one you like). However, the company mentions that if one hasn’t seen the game yet on the app, there are chances that the game is still rolling out and should be available for all Messenger users in the next few days. HMD Global unveiled a newer re-fresh of the Nokia 3310 (2017) alongside the Nokia 3 and Nokia 5 Android smartphones as promised. The new Nokia 3310, Nokia 3, and Nokia 5 are said to be made available Africa in the second quarter of 2017. The Nokia 3310 will be available in Warm Red, Yellow with a gloss finish, Dark Blue, and Grey color variants.